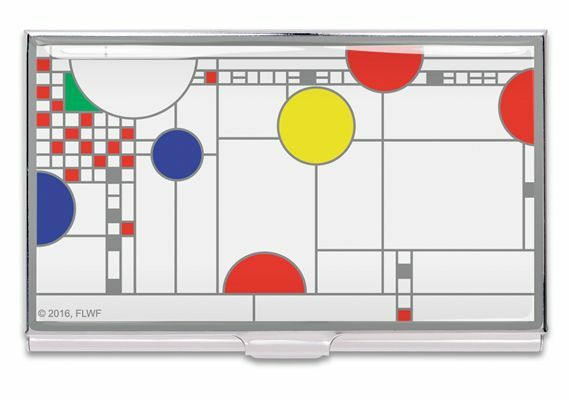 Order your Acme Frank Lloyd Wright Inspired White Playhouse Card Case today from FahrneysPens.com. Fine Pens, Refills & Luxurious Gifts – great prices & fast shipping. The new Playhouse White is based on a well-known design by legendary architect, Frank Lloyd Wright, proudly brought to you by ACME Studio. The design has silver line work with red, yellow and blue accents on a white background that is reminiscent of the windows in the child’s playhouse designed by Wright for Avery Coonley in the suburbs of Chicago - representing balloons and confetti in a Fourth of July parade. The design is available as a fountain pen with steel nib, capped rollerball and card case. 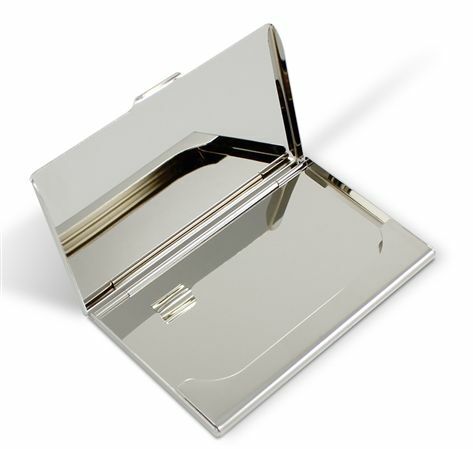 The design is screen printed on a solid metal card case, layered with clear lacquer and finished with chrome plated trim with the ACME logo stamped on the back. It holds 12-14 business cards or 2-3 credit cards.